The Datong landscape has an abundance of unique cultural and historic features. Development over the years has gradually formed a pair of distinct corridors: an artistic belt in the district’s south and a cultural belt in its north. 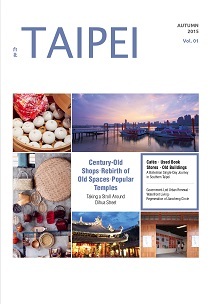 The historic landmarks and burgeoning cultural and creative development found in both corridors are attracting domestic and foreign tourists with a shared interest in the magnificent history of old Taipei. 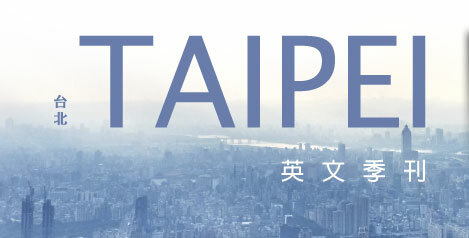 In their youth, older generations of Taiwanese people were inspired by a popular radio advertisement that encouraged them to visit the area behind Taipei Main Station. This old commercial section of the city will soon gain new life with the opening of a new metro line between Taoyuan International Airport (桃園機場) and Taipei Main Station. Directly behind the station are shops that specialize in wholesale goods and handcrafted items. In the evening, this is also where visitors can find Ningxia Night Market (寧夏觀光夜市), which gained international publicity through its “Thousand Years Banquet” promotion. Further north is Dadaocheng, which is a great place to buy tea leaves, Chinese medicines, fabrics and traditional groceries. 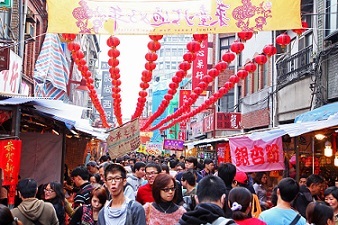 Dadaocheng’s most famous thoroughfare, Dihua Street, is a traditional area that is home to new cultural and creative shops, stores that specialize in patterned fabrics, “button street” and the Yongle Fabric Market. Together, these shopping venues form the southern Datong artistic belt portrayed in the iconic Kuo Hsueh-hu (郭雪湖) painting Festival on South Street (南街殷賑), which depicts the prosperity of early Taipei. Walking among the ancient brick buildings of Dadaocheng feels like stepping back into a period drama, though a closer look also reveals new trends. Youths trickling into the community are reinvigorating the older buildings by opening new cultural and creative shops, and in the process they are transforming this old district and ushering in a new era of development. Baoan Temple (保安宮), a cultural heritage site previously recognized by UNESCO, recently served as the backdrop for an on-site shoot featuring the Japanese idol group NMB48. The temple is just one of the many special site previously recognized by UNESCO, recently served as the backdrop for an on-site shoot featuring the Japanese idol group NMB48. The temple is just one of the many special features in Dalongdong cultural park, an area with several city-designated landmarks and special ceremonies, such as the lively Baosheng Culture Festival (保生文化祭) during the third lunar month. This park is contained within the northern Datong cultural corridor, which extends from Baoan Temple to the culturally rich Confucius Temple (孔廟) located on Dalongdong Old Street, the Qing-era Chen Yue-ji Residence (陳悅記祖宅) or Teacher’s Residence (老師府), and the nearby Dalong Night Market (大龍街夜市). Renovations have given an orderly and unified appearance to the park’s commercial zone and are attracting domestic and foreign tourists who are eager to experience history and culture. To encourage more such visits, through the end of the year the Department of Information and Tourism will be offering tours of old sections of the city for two days a week at minimum. From Taipei’s contemporary landscape, visitors can capture a glimpse of its prosperous past. Touching stories are written along the riverbanks of every city. Alongside the Tamsui River, Taiwanese composer Lee Linchiu (李臨秋) once sang beautiful songs, and this setting still features remnants of past business ventures. History can be felt everywhere from the Dihua Street historic area to Cisheng Temple (慈聖宮), once the site of Hoklo-Hakka battles. Peikuan Chinese opera and immortal general performances are held by the 145-year-old Taipei Dao-Jiang Ling-an Performance Troupe (台北稻江靈安社). In addition, family-organized opera performances (家姓戲) are offered to tourists at Baoan Temple, while Dadaocheng Theater (大稻埕戲苑) hosts traditional Chinese opera. There is also the world’s largest Taiyuan Asian Puppet Theater Museum (台原亞洲偶戲博物館) and arcades along Dihua commercial zone, which are classically stylized with Baroquestyle carvings. Visitors can witness Confucian sacrificial ceremonies and purchase “house cures” from Chinese medicine pharmacists as well as classic prescriptions from herbal shops. In addition to the major events which take place at Taipei Xia-Hai City God Temple (台北霞海城隍廟) and Baoan Temple, the annual “Greeting the King of Qingshan Inspection”(青山王遶境) brings great excitement to the streets of Taipei. In 2014, for the first time in a century Cisheng Temple held its first jian jiao (erecting an altar ceremony, 建醮), pilgrimage procession and water lantern release in 100 years. The preservation of these intangible cultural assets poses an even greater challenge than preserving the area’s historic buildings. in Dadaocheng will become increasingly developed. Furthermore, the annual Taipei Riverside Festival ( 台北河岸音樂季) will debut next year. This series of outdoor concerts will feature at least 10 shows, with the annual Dadaocheng Music Valentine’s Day event to serve as the festival’s closing event. The department is repackaging old sections of the city by promoting cultural tourism. In particular, it is using regular events in Datong to attract more tourists from Asia and transform the area into another mustvisit destination on the Asia travel circuit.